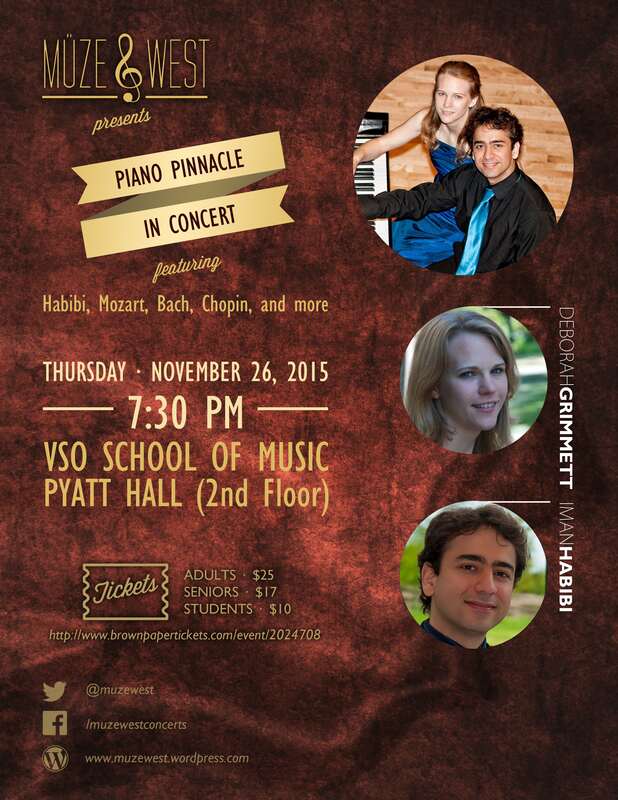 On Thursday, November 26, 2015 we will be in Vancouver to perform a recital as part of Muzewest Concert Series. We will be presenting an eclectic programme of works by J.S. Bach, Adolphe Blanc, Chopin, Yoshibumi Fujiwara, Albert Ketelbey, Lutoslawski, as well the world premiere of Iman’s new piano duo work!